Managing the security of sensitive and large files while enabling people to view and work on them across multiple devices and location. Workshare 9, sharing edition with the desktop sync app. A secure space where staff can access files remotely and share them with clients. When Robert McCall turned his back on his high flying corporate career to retire in the Caribbean at the age of 34 as a superyacht captain, he didn’t expect to be concerned with the security of sensitive documents ever again. Yet within four years of leaving his role in global technical project management he was back. This time looking to protect documentation around the design and development of a new type of craft set to revolutionize the sailing experience. As Robert started to pull together a team and turn his vision into a reality he quickly realized managing various freelancers, designers, a workshop and an office meant having large and sensitive documents being sent around on emails and USB sticks. With the cheapest boat starting at £1million, Glider yachts needed a secure, central location to store and work on these highly confidential documents. As Robert worked with people around the globe, the ability to access the documents from any location on any device was also essential. After trailing various consumer cloud systems, Robert began to look for a similar enterprise grade system with a higher level of security, which he could brand with the company’s corporate image. Rolling out Workshare 9 sharing edition across the whole team in 2013 enabled Robert to create one central place for a multitude of documents to be securely stored and worked on. And, when required, he could create designated client spaces to share plans and documents externally with potential buyers. 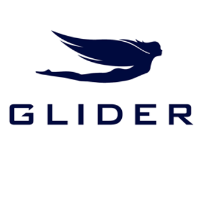 Since their first boat was launched at the London-On-Water show in mid-2016, Robert and the team at Glider Yachts have continued developing and expanding their exciting Glider range.